Lori Danelle: maker of things: Crown is up. Glimpse of what we worked on last weekend and what we'll be doing more of this weekend. 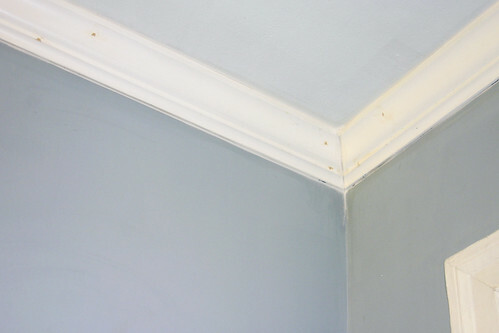 The trouble with putting crown up in old houses is that nothing is square! 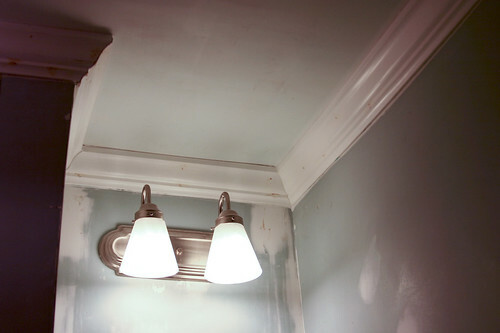 Nate is getting pretty good with a caulk gun, so once we get the nail holes filled in and painted, we'll almost be done with the bathroom!! I just need to pick out a paint color for the walls. . .any suggestions? 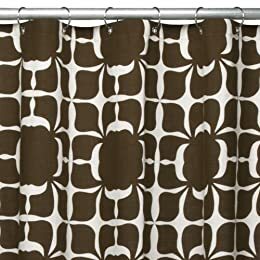 I think I'm using this shower curtain from Dwell for Target. Although, I've got to be honest, I'm not loving this image. . .Hmm. I'll have to go back home and look at it again.